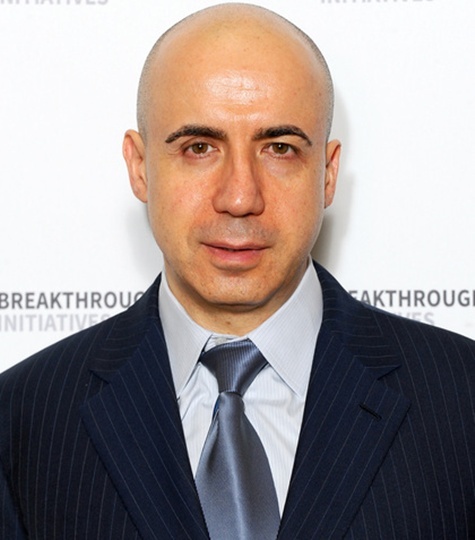 Yuri Milner is focussing on on consumer-driven Internet start-ups. Yuri wishes to invest in every snowflake that falls in San Francisco tonight,” says one tweet. “When Yuri play roulette HE BET ALL NUMBERS,” goes another. These are among the popular tweets by @yurimilner, a parody Twitter account of Russian billionaire Yuri Milner, who was recently in the news for funding a $100-million project aimed at finding alien life. The ‘snowflake’ here refers to Facebook, Twitter, WhatsApp, Spotify, and Groupon, which Milner has backed from the beginning bringing him good fortune in the long term. Milner was among the few to spot the huge potential of these global social media giants, as well as Chinese firms such as online retailer Alibaba, JD.com, and smartphone maker Xiaomi. He has invested in all these both in his personal capacity and through his investment firm, DST Global (formerly Digital Sky Technologies). The 53-year-old physicist-turned-technology investor, with $3.2 billion net worth, according to Forbes, is now eyeing India’s Internet start-up space. He recently backed Bengaluru-based food-delivery start-up, Swiggy, besides participating in a Series-C round of funding in doctors’ scheduling service firm Practo Technologies, led by Chinese online major Tencent. Among his other investments in the country are e-commerce marketplace Flipkart, cab-hailing service Ola and real estate portal Housing.com. “I recently met Milner, who is considered the world’s most successful investor in social media, and had a chance to listen to him. He’s soft-spoken and down to earth. He seems to be a person who knows the art of making quick decisions. I was told Milner typically provides expansion capital and growth capital. I hope he considers early-stage ventures as well,” says the co-founder of an early-stage technology start-up, who did not wish to be named. An email to DST Global, seeking Milner’s take on the Indian start-up system, did not elicit any response till the time of going to print. “Yuri is one of the few very successful investors that I have ever met. During the brief discussion, he only talked about technology. He is passionate about investing and he came here with a prepared mind of tapping to the fullest the huge potential and the prospects that Indian start-ups offer,” says a partner at an India-focused investment fund, who is one of the handful of investors whom Yuri Milner met during his recent India trip. What connects Flipkart and extra-terrestrial life?